YES REPUTATION MANAGEMENT WORKS – and here is why.. If your negative listing is pushed off the first page it is very unlikely that it will be found. In fact if it is pushed off page two then it is almost guaranteed. 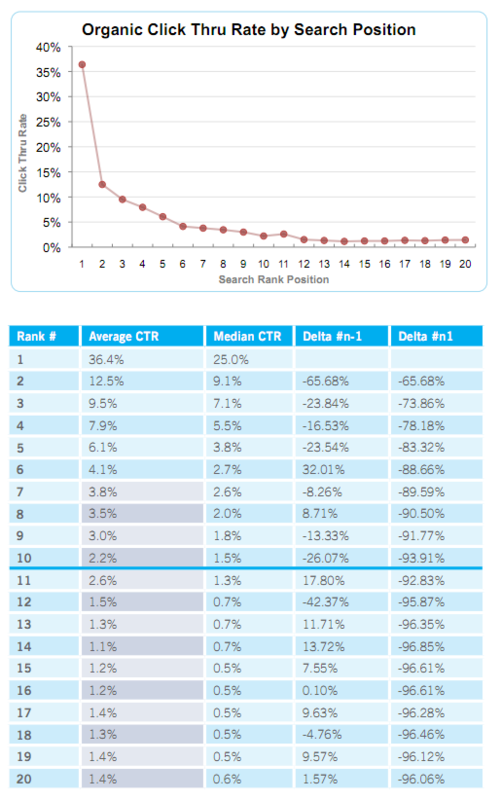 Look at the metrics which show the number of people who click on the top results. Notice that very few look beyond page one. About 2% at most, even if they are doing due dilligence.